Your church has a pastor and teachers - but where are your evangelists? Seek out who your evangelists are and send them out. Roger Carswell sets out the biblical focus on evangelism. Be prepared to be challenged. 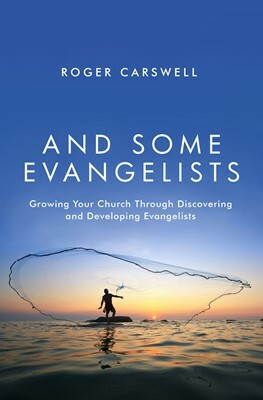 With a lifetime of experience Carswell gives a practical and challenging resource to help equip Christians - whether pastors or future evangelists. I warm to the theme of this book. It keeps the Bible in the centre but is also very practical and eminently readable. We urgently need to recapture a belief in evangelism and share the author's love for it. ...this book is a clear and compelling word to encourage and empower the evangelist of our day. Biblical, interesting, challenging and provocative, this book fills a huge gap, not just in the contemporary Christian literature, but in the outlook of the average church. ...Carswell challenges us to discover and develop evangelists in our churches. From Scripture and his own rich experience, he tells us how to do it. This book is must reading for all of God's people. Roger Carswell works full-time speaking to students and adults about the believability of the Christian faith and its relevance to the modern world. He is married to Dot and they have four children.